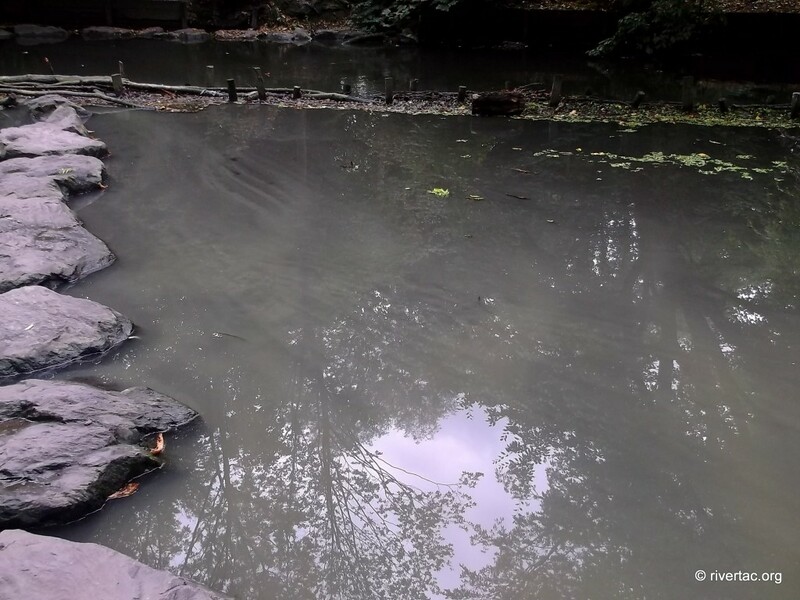 The River Crane in West London has been devastated by a new pollution incident following the total wipeout of all species in October 2011. 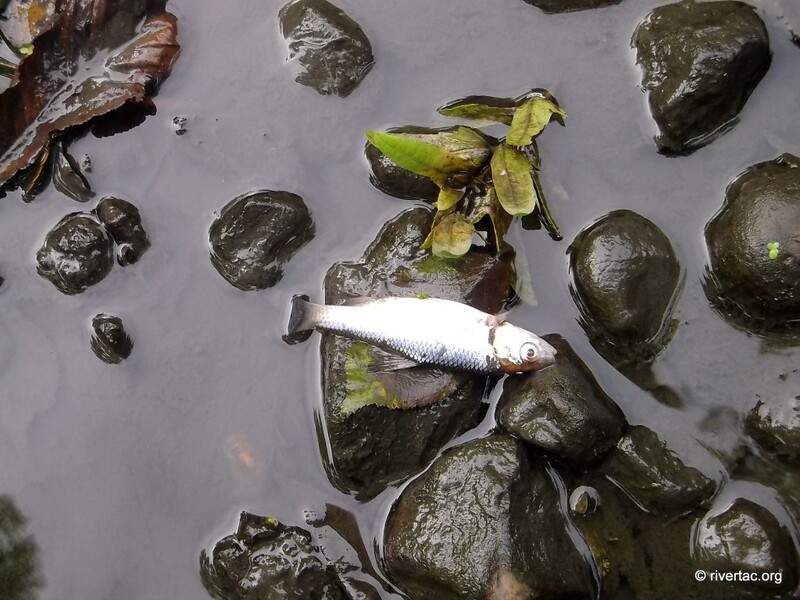 This new pollution incident was reported after local people saw dead fish floating in the river on Friday 5th October and reported the river turning black and emitting an acrid smell. The Crane was still recovering following the pollution in 2011 when an infrastructure failure during routine maintenance by Thames Water near Heathrow saw a Tsunami of raw sewage pour down the river, killing all life in a seven mile stretch. 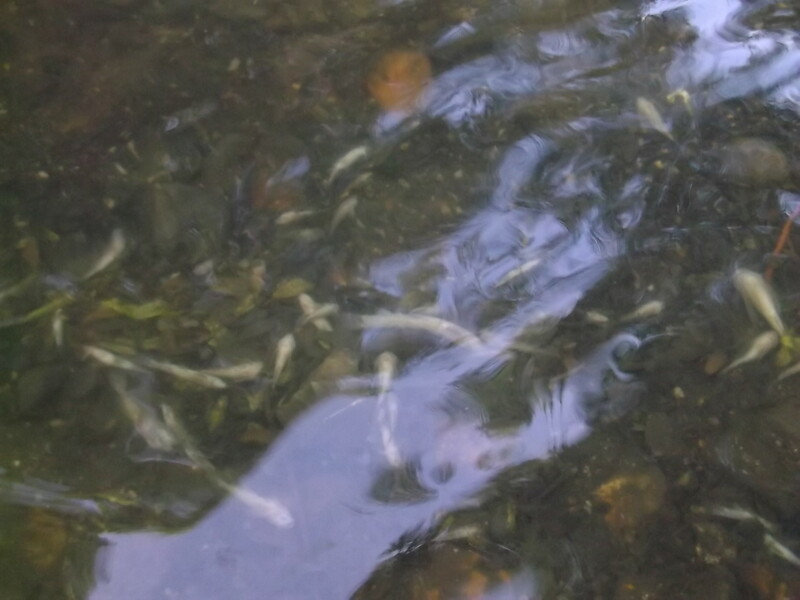 During that incident an estimated 10,000 fish were killed including mature Barbel, Roach, Chub, Pike and Perch. 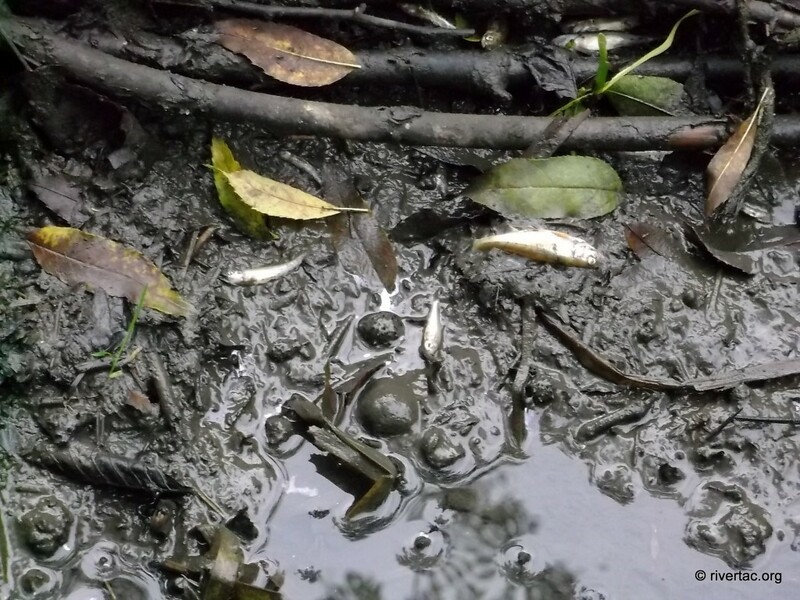 In July 2012 members of the Thames Anglers Conservancy sampled several areas for invertebrate life and found that they had returned in abundance, this in part was due to the spring floods cleansing much of the remaining sewage sediment from the river. Then in December 2012 the Environment Agency had begun the first of a long term restocking program with 5500 fish going in to restore some of the stocks that had been lost. 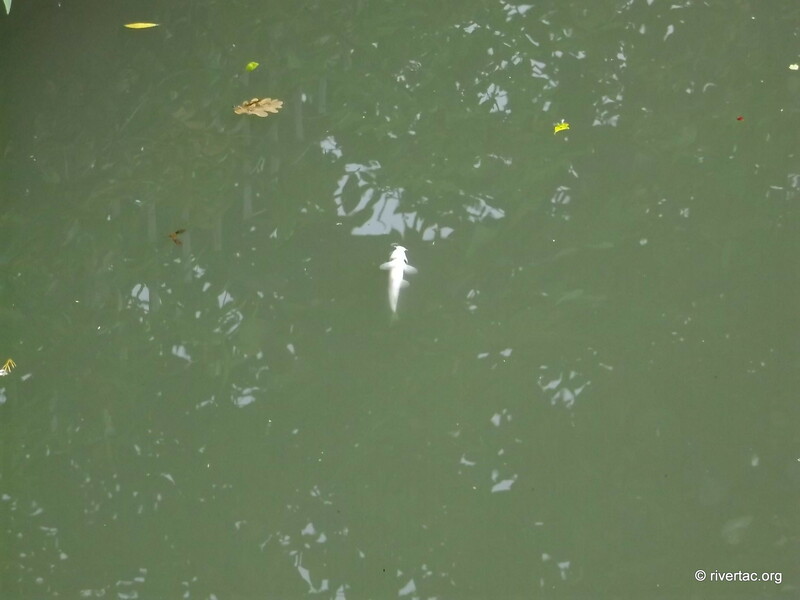 The TAC has extensively walked and visually surveyed the river in the past 2 days and believe that there has been a complete fish kill below the source of the pollution. 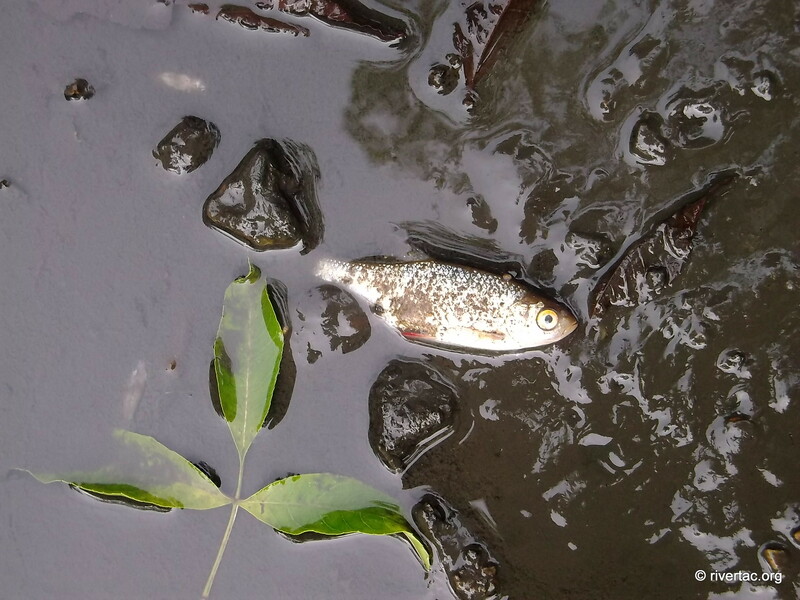 No live fish were observed, only the remains of a once healthy and recovering population can been seen littering the banks and riverbed. True number may never been known but will run into many thousands when considering the fry that were seen. In recent months anglers had started returning to the river and reported the fish healthy and thriving. David Harvey Chairman of the Thames Anglers Conservancy said: 'This is a devastating blow to the river, quite unbelievable it has happened again and with the same severity, its almost surreal. We have been involved since the original incident in 2011 and with others secured £400,000 from Thames Water towards the full restoration of the Crane and to improve the robustness against it ever happening again. Now we have seen it happen again. We fear that all the fish have been lost along with those that had naturally recruited from the upper reaches. This entry was posted in News and tagged Environment Agency, Fish KIll, Fishing, Pollution, Thames Water. Bookmark the permalink.